Washington (CNN) - With some communities across the nation fighting attempts to house some of the unaccompanied Central American kids detained at the border, President Obama got a dose of welcome news from one of his closest political allies. 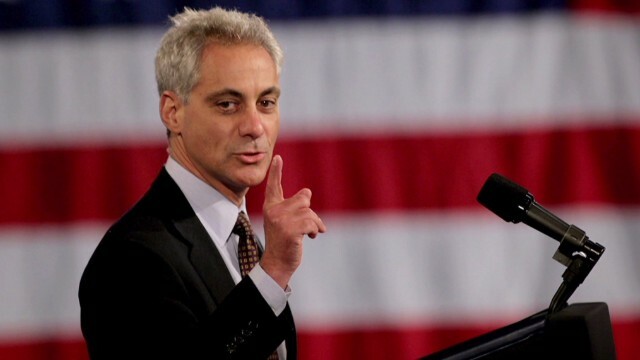 Chicago Mayor Rahm Emanuel's administration says it is willing to house up to 1,000 children in city facilities. More than 50,000 unaccompanied children have been detained so far as they’ve tried to cross the U.S.-Mexico border. Federal authorities say the rate of apprehension has slowed in recent weeks. City officials say earlier this month the federal government reached out to the mayor's office to talk about the possibility of housing some of the children in facilities there. The federal government would pick up the costs, and the Department of Health and Human Services would run everything from education to health care to food and security. Representatives from the Emanuel administration are working with local groups to find one or more facilities to house the migrants in the coming year. Rep. Luis V. Gutiérrez, D-Illinois, a major proponent of immigration reform and someone who has strongly opposed calls for deporting the children after they are arrested, said he is proud to see Chicago "lead by example" in trying to find housing for some of them. “Sometimes the greatness of our nation and our city are tested and how we treat children in danger is one of those tests," Gutiérrez said in a statement. Among the possible organizations that could help in housing and caring for the children are the Archdiocese of Chicago, Catholic Charities and other private groups long involved in the matter. These offers follow a dust-up between another Democratic ally, Maryland Gov. Martin O'Malley, and the White House over the issue. O'Malley, who had criticized plans to deport many of the undocumented children, clashed with a senior White House official in a phone call after he asked some of the kids not be sent to a site in his state. "What I said was that would not be the most inviting site in Maryland,” O'Malley told CNN Senior White House Correspondent Jim Acosta. “There are already hundreds of kids already located throughout Maryland." O'Malley was referring to his phone conversation with White House Domestic Policy Director Cecilia Muñoz. O'Malley also told CNN he was open to housing them in other sites in the state. When you dems stop promoting and supporting the most wretched and vile sins in the Bible then try and pick the right verse to suit your needs and dont be a hypocrite ? There is better ways to help these kids than putting them in a strangers back yard all over the nation ? What better ways might that be, Chris? We need solutions. There's a 1 in 14 chance of getting shot in some areas of Guatemala and Honduras. The chance of being shot in Chicago is close to 1 in 15,000. What's your solution? It’s amazing that the GOTP-family values, Christian values party, has such an aversion to helping these children! They are here now & we can’t Do Nothing & blame Obama, the party’s favorite way of dealing w/issues! Would it help if they were embryos?? Nope. Not even if they were White embryos carrying voter ID cards listing them as registered Republicans.....wait, actually, yes that would in fact help. Bush's law states that they have to be cared for until their hearing. It seems that very few Governors want to comply with that law. Should they be regarded as "lawbreakers"? When Chicago steps up to the plate the Usual Suspects poo-poo it because of their "concern" for Chicago's crime rate. Why not Detroit…they have PLENTY of room.